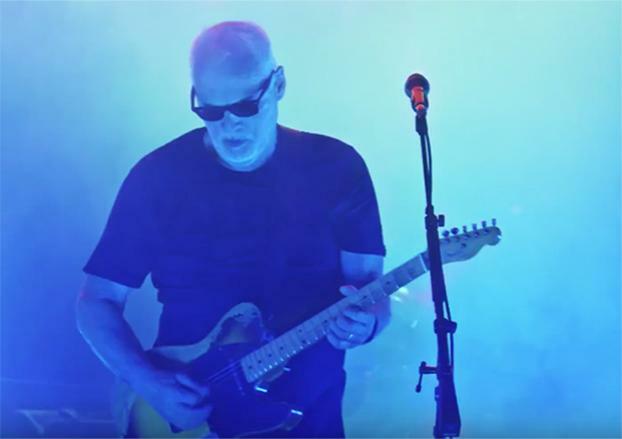 David Gilmour is streaming video of his performance of the 1979 Pink Floyd classic, “Run Like Hell”, from his newly-released “Live At Pompeii” concert film. The tune was the second single issued from “The Wall”, which topped the Billboard 200 chart for 15 weeks on its way to US sales of more than 11 million copies. "I know how he likes to be portrayed," Elder tells Billboard about his latest project with the guitarist. "It's editing it with a musicality that enhances everyone's performance and captures the subtlety as well as the spectacle -- real subtle nuances that I think bring the personality to the performance. So what I'm after is the little looks, the little smiles, the little acknowledgements between the band members that it's all happening and they're all on fire. “It's a collaboration of coming together and we're really there just to capture what they're doing and capture the majesty of the moment." "Live At Pompeii" is now available on 2-CD, Blu-ray, 2-DVD, 4-LP, deluxe Blu-ray box and digital download.